Anniversary watches are a funny thing. Some, like the Doxa SUB 300T 50th anniversary watch are virtual replicas of their ancestors. Others, like the Rolex Cosmograph Daytona 50th Anniversary piece, are more extensions of the reference, perhaps even introducing new materials. 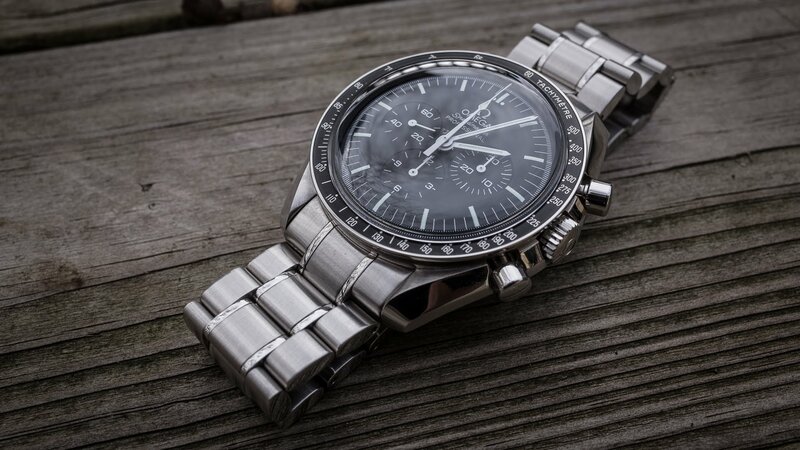 Still others, like the numerous Moon landing anniversary Omega Speedmasters, are simply commemoratives. Let’s take a closer look at some of these pieces. For the 50th anniversary of the Cosmograph Daytona in 2013, Rolex released an updated version of the watch in platinum and with a ceramic bezel, ref. 116506. This was the second Daytona to sport a ceramic bezel ( the first was 2011’s Everose version). But it was the first time ever that the Daytona had appeared in 950 platinum. Being platinum, and being Rolex, the dial is ice blue, a color which contrasts beautifully with the chestnut Cerachrom bezel and lacquered sub-dial chapter rings. 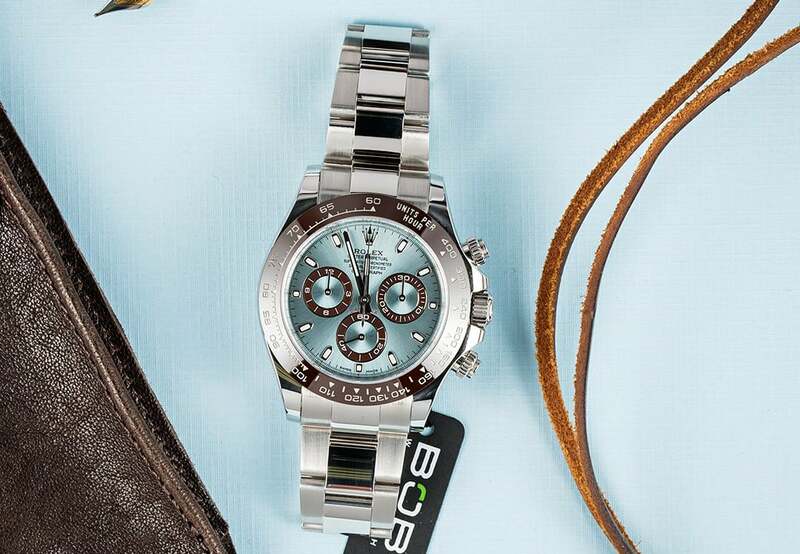 The rest of the watch is pure Daytona, including Rolex’s great calibre 4130 purring away beneath the ice blue dial. This watch is not limited edition. Four years later, the watch is still in Rolex’s catalog. That may limit its collectability somewhat, but still… the first-ever platinum Daytona? And the $75,000+ price tag helps keep it exclusive. At the other end of the price spectrum, several months ago (Summer 2016) you could have gotten an equally iconic 50th Anniversary piece – the Doxa SUB 300T. Unlike the 50th Daytona, this one was severely limited – 300 each in Professional (orange dial), Sharkhunter (black dial), and Searambler (silver dial). The SUB 300T is that anniversary watch that is a nearly exact duplicate of the original, right down to the printing on the dial and the fact that an original beads-of-rice bracelet from 50 years ago fits the current watch with no issues. The biggest change is the domes sapphire crystal, an exact duplicate of the original’s plexi. I think this one flew under the radar of most watch nerds. 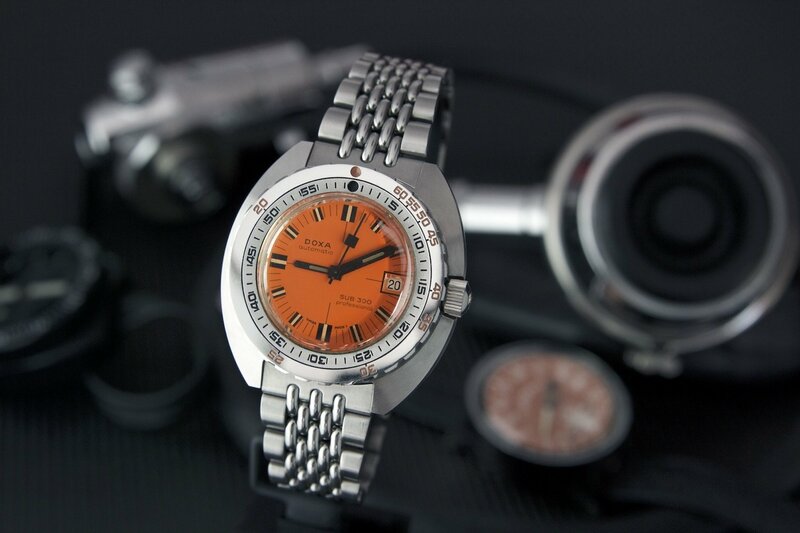 Doxa isn’t necessarily a high-production, high-profile brand. They prefer to keep pounding out tools for their fans. At this writing, it’s hard to tell if any still available. And now for something crazy different. Just days before this writing, Omega released a limited edition Omega Speedmaster which made history as the first-ever Omega to be sold directly to the public via the Omega website. As if that wasn’t enough, Omega made the announcement via their Instagram feed. In case you’re not familiar with “Speedy Tuesday,” the hashtag #speedytuesday is one of the most-used in all of social media. Every Tuesday, raving fans of the Speedmaster wear their Speedys and post photos with that hashtag. The tradition was started five years ago by Robert-Jan Broerof Fratellowatches, a consummate Speedmaster connoisseur if ever there was one, when he posted a photo of his personal Speedmaster – on a Tuesday – and labeled it simply #speedytuesday. Omega felt compelled to release this limited edition of 2012 pieces – which sold out in something like three or four hours. 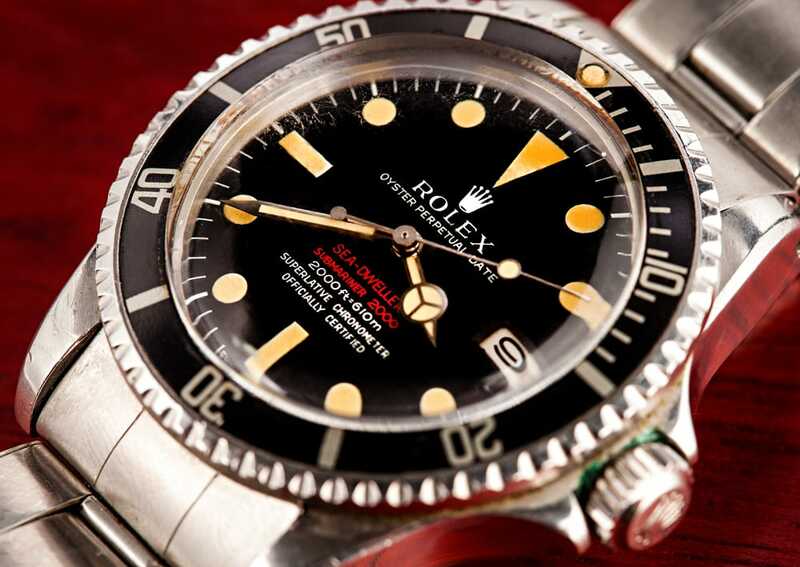 Rolex Double Red Sea-Dweller – 50th Anniversary? This one’s pure speculation folks, but 2017 is the 50th anniversary of the release of the original Sea-Dweller. Those early watches were labeled with two lines of red printing: SEA-DWELLER and SUBMARINER 2000. The Sea-Dweller is a venerable watch, with as loyal a following as any Rolex model going. Could Rolex have something up their sleeve for Baselworld this year? There’s already speculation on social media, so stay tuned!